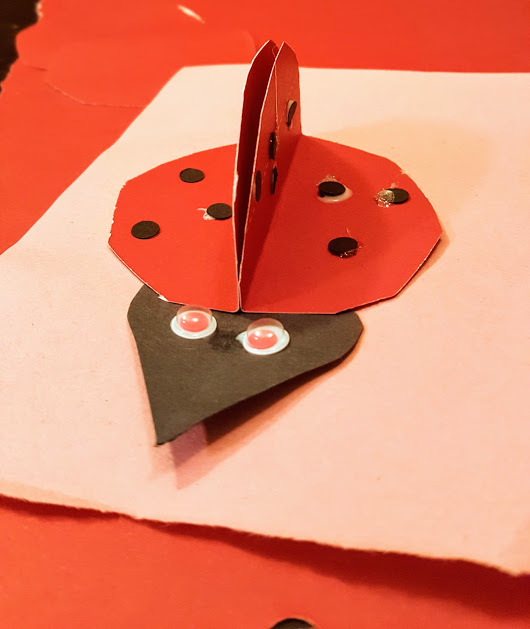 3d Paper Ladybugs come together with the most basic of supplies to create a craft so cute your heart might flutter a bit. This post contains affiliate links. If you make a purchase I earn a small commission at no cost to you. 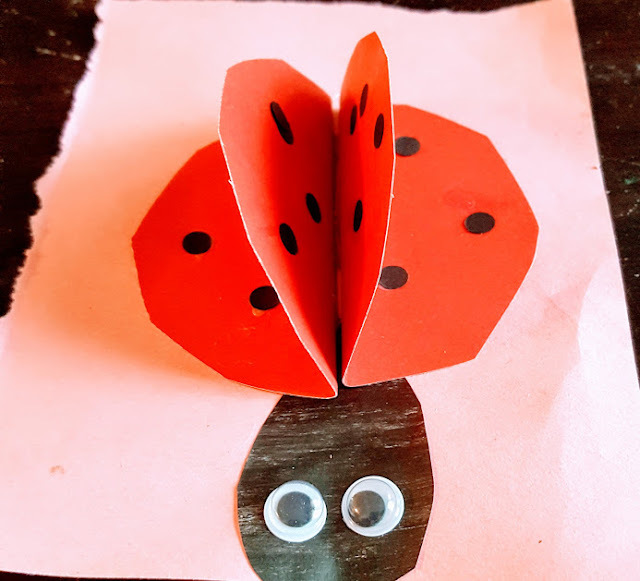 This 3 D Paper Lady Bug Craft is perfect for kids of all ages. 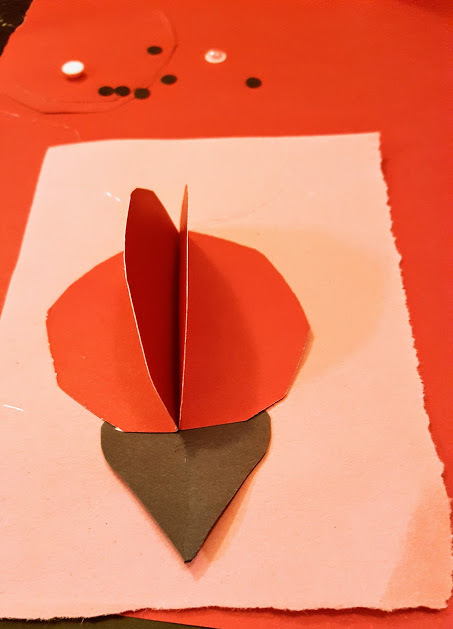 It is so easy, that even the little ones can help make these! With red and black paper and some glue you too can create these. 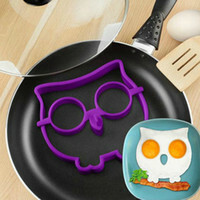 The cute googly eyes are optional. If you have them, of course, use them. If not, create eyes with paint, paper, buttons, or something else. The supplies couldn't be more basic. 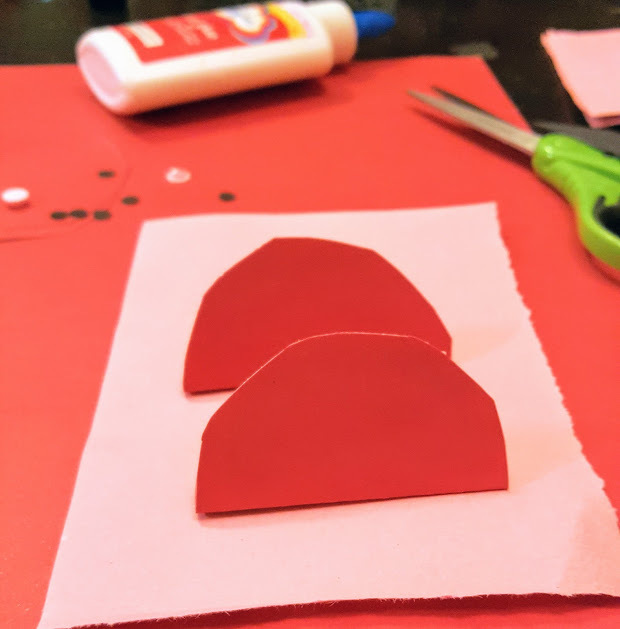 Glue, 2 circles of red paper, in any size you like, and black paper, and a background are all that is required really. 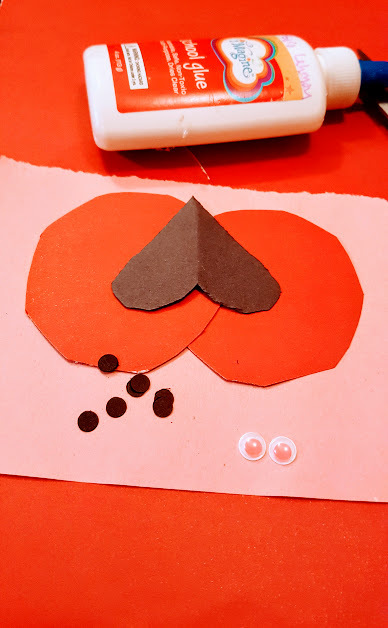 I used a hole punch to make circles easily and I had 2 pink googly eyes, so I used them! Cut your circles together so they are the same size. Glue one side of the circle to your background paper. Line the other folded circle up and glue it on the paper. 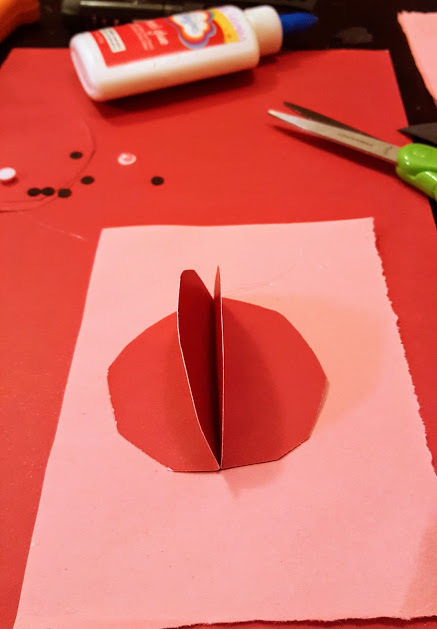 Cut a teardrop shape from the black paper and affix this as the head of the 3D Ladybug. Create and affix black dots with a hole punch, or a marker. 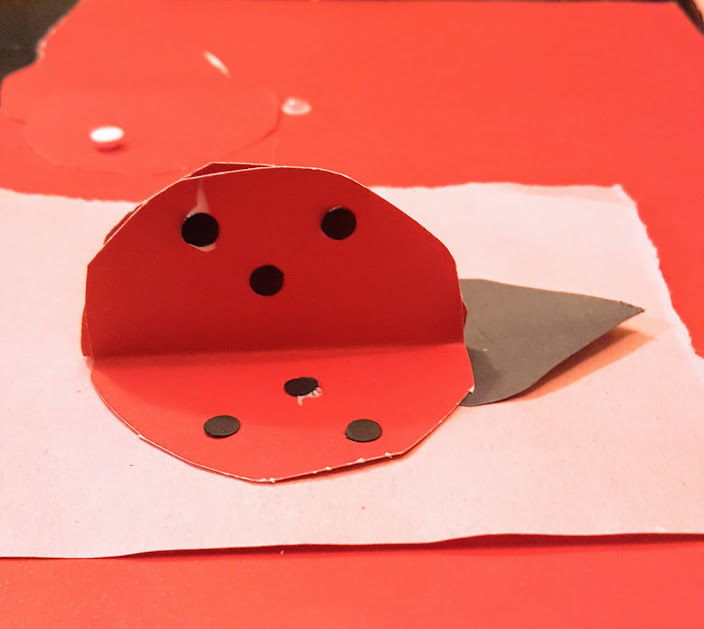 Now you have a cute and super easy 3d paper ladybug craft!